Crowd-funding sites help entrepreneurs kick-start their businesses, but are these new platforms too good to be true? 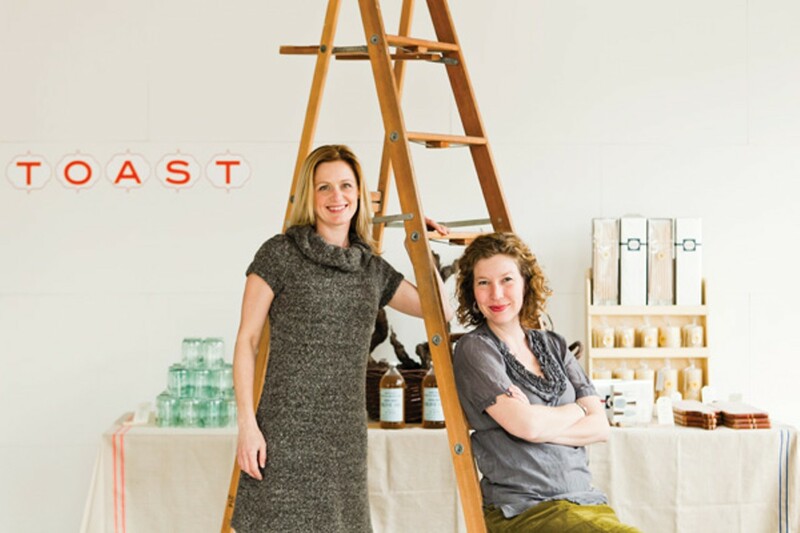 Heather Sittig and Kristen Policy used Kickstarter to raise more than $15,000 to open their wine bar, Toast. When Heather Sittig and Kristen Policy decided to open a new wine bar in Rockridge, they thought about how, in the old days, out on the frontier, whenever someone wanted to build something useful — say, a barn — the whole community would gather to raise it. They started thinking: What if they could use that same approach to raise the money they needed to build out their kitchen and get their wine bar, Toast, off the ground? What if everyone they knew, or maybe everyone in the surrounding neighborhood, just chipped in a few dollars? After all, it's no secret that coming up with enough start-up capital is one of the biggest obstacles for any new business. "We talked to the banks about small-business loans and that sort of thing," Sittig explained. "Basically, the lending environment right now is terrible ... and for restaurants, basically it's a non-starter. They won't lend on a start-up restaurant, period." It was around this time that Sittig and her business partner learned about Kickstarter.com, probably the most well known among a growing number of "crowd-funding" web sites that provide a platform for small businesses and individuals to raise money for various projects. Combining the power of social networking with a do-it-yourself approach, Kickstarter and other similar sites have become enormously popular and powerful tools for alternative fund-raising. Rather than getting traditional investors to buy shares of stock in a company, crowd-funding sites allow individuals to make a more humble contribution of five or ten or maybe a few hundred dollars. After signing up with Kickstarter, Sittig and Policy uploaded a video in which they talked about their dream of opening up a wine bar. To encourage individuals to pledge money at various levels, they offered perks that ranged from T-shirts to discounted wine vouchers to a "Founder's" title and priority seating for the life of the restaurant. In accordance with the rules of the site, they set a deadline by which they needed to reach their goal of $15,000. Then they sent out e-mails to their entire social network, letting everyone know about the fund-raising project. In short, their campaign was a success. By the time their Kickstarter deadline rolled around, about two months later, Sittig and Policy had slightly exceeded the $15,000 target — in less than a quarter of the time it took for them to raise the same amount through a similar effort conducted on their own web site. Before Toast has even opened, they've already sold more than 2,000 glasses of wine and, Sittig said, they now essentially have a built-in customer base. All that's left to do is get that barn raised. 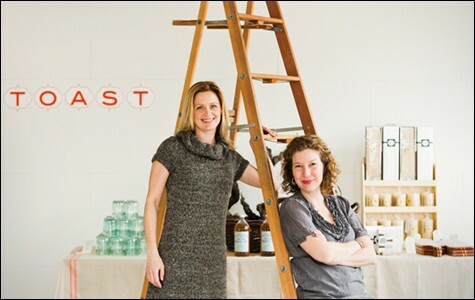 Toast's story is one that is increasingly common, both in the Bay Area and beyond, as crowd-funding platforms like Kickstarter become more popular. 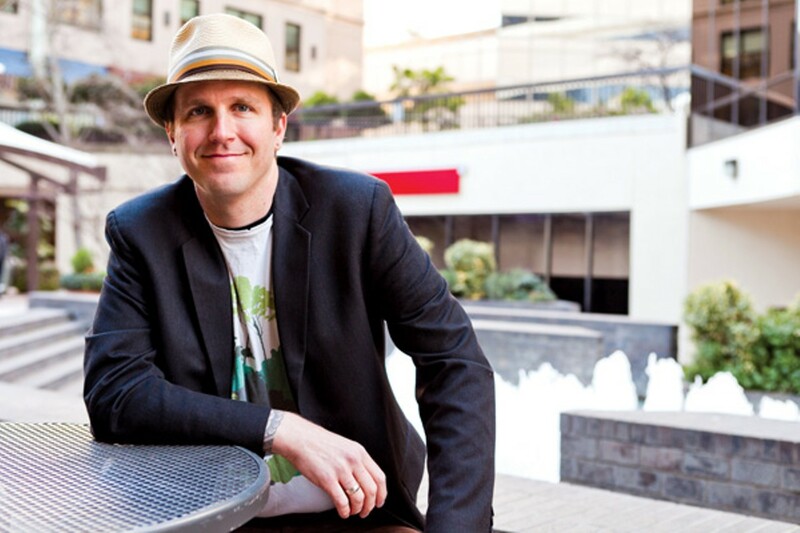 Kevin Lawton, the San Fransico-based co-author of The Crowdfunding Revolution, estimates that there are now as many as two hundred individual crowd-funding sites, many of them focused on highly specific niche markets. There are, for example, multiple crowd-funding sites for aspiring fashion designers. There are also crowd-funding sites for freelance journalists who want to report a research-intensive story but can't find a publication that will pay a decent fee for them to do so. Kickstarter and San Francisco-based IndieGoGo, another of the more popular sites, are multipurpose but tend to attract creative types — indie filmmakers, musicians, inventors, bakers. But while aspiring entrepreneurs see these sites as a source of free money or, at the very least, a way to obtain a kind of "no-interest loan" (as Sittig described it), crowd-funding — like most aspects of starting a business — isn't without its risks. For starters, there are fairly significant fees to be paid once a project is successfully funded — typically between 5 and 10 percent of the amount raised once applicable credit card fees have been factored in. Because Kickstarter and many of the other sites use an "all-or-nothing" approach, it's also possible to put in several weeks of work and raise thousands of dollars, only to lose everything if you fall short of your goal. And even if you were to treat the crowd-funded cash as a sort of informal "loan," once you've spent the start-up capital to get your restaurant or cafe up and running, you're left to pay the debt back, one free glass of wine at a time, during that precarious first year of business, when the margin for error is razor-thin. And then there's the question of whether crowd-funding, as it's currently practiced, is legally sustainable. So far, sites like Kickstarter have dodged the ire of the Securities and Exchange Commission by prohibiting those who donate from profiting on the transaction by, say, receiving shares of stock. That would be in clear violation of the SEC's ban on "general solicitation," which forbids the use of mass media, including the Internet, to advertise securities offerings. Nevertheless, in this burgeoning arena that's pushing the boundaries of what existing regulations could have ever foreseen, there's no shortage of legal issues — for the crowd-funding platforms themselves, as well as for their users. There is, for example, no way to reliably ensure that those collecting donations are paying the appropriate taxes on them. There's also no clear mechanism on these sites for preventing fraud. Lawton says that while there haven't yet been reports of people taking donations and disappearing, the potential for that certainly exists, especially because there are dozens of independent crowd-funding sites with widely divergent levels of project-vetting and self-policing — all of them deficient, in his view. In fact, Lawton says, "You've got to imagine that it's only time before the regulators step in and squash a bunch of these guys. And they don't need a particularly great reason." Lawton, to be fair, isn't an entirely disinterested observer — the self-described serial entrepreneur has ambitions to start a new online funding platform of his own. He's even spearheading a movement to petition for an SEC exemption that would allow for crowd-funding with securities. What Lawton fears is that the existing sites are flying under the radar simply because the trend is so new and that if one or more of them gets shut down by the SEC, as he predicts will happen in 2011, it'll muddy the waters for everyone. The term "crowd-funding" was coined in 2006 by Michael Sullivan of the now-defunct FundAVlog.com, a site that tried to apply the model as a way to pay creators of online video content, and it's only during the past two years that the idea (and buzz word) has really taken off. But the truth of the matter is that crowd-funding, at its core, isn't a particularly new thing. In a way, any kind of charity has always been a form of crowd-funding, Lawton says. He cites the fund-raising efforts, on both sides of the Atlantic, to pay for the Statue of Liberty as an early example: In France, there was a kind of charity auction that helped fund the building of the statue. And in the United States, Joseph Pulitzer used his newspaper as a pulpit to encourage readers to send in small amounts of money to pay for the pedestal and for the shipping. "If you really translated that to using a web site, you would have crowd-funding. That's Kickstarter for the Statue of Liberty," Lawton said. In that sense, the only real change is that what used to occur offline — people pledging money, sending in checks, and so forth — is now taking place on the Internet. Nevertheless, and in spite of his reservations about some of the current practices of the crowd-funding industry, Lawton believes the phenomenon marks "nothing short of a monumental shift, not just in our culture but in our economics." Why the bold statement? The key lies in the power of social media technologies and the way these technologies have indelibly altered the way people interact with one another — and, now, with the way they do business, too. Kickstarter, IndieGoGo, and most of the other crowd-funding sites are all optimized to work with Facebook and Twitter so that if you decide to fund a certain project, then, with just one click of the mouse, all your Facebook friends and Twitter followers will see that you did so — and can jump onboard themselves, if they so choose. In that way, a fund-raising campaign can reach a far wider audience much more quickly than was ever possible before, spreading outward from the aspiring entrepreneur's circle of friends and acquaintances toward strangers who are two or three degrees removed but might still be inspired to give. All of the actual transactions are smoothly integrated into the sites, too, making the tried-and-true act of writing a check and putting it in the mail seem impossibly old-fashioned. 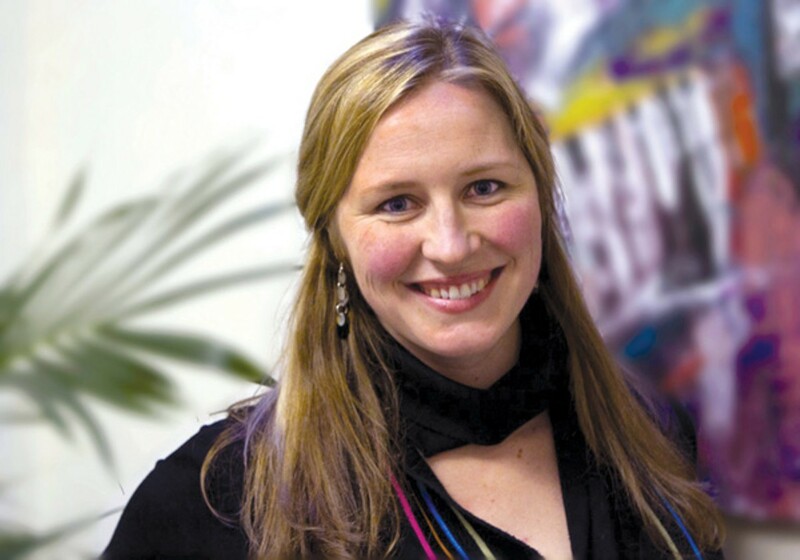 Danae Ringelmann, a Haas School of Business alum who co-founded IndieGoGo in 2008, explained, "Everybody wants to wake up in the morning and do good. The reason that people don't is because they're really busy, or they have kids, or they've got a nine-to-five job and they're running around." So if the process can be streamlined, so that giving money to support a worthy project — and getting the word out about it, too — is just a matter of a few clicks, then people are much more likely to act on their impulse to help. Most project owners also set specific perks that donors can earn for contributions at various levels — and those perks can be a hodgepodge of tangible merchandise (a T-shirt) and some conferrence of "VIP" status (the right to name a product, for example). The various crowd-funding sites differ slightly in their payment mechanisms (IndieGoGo allows for credit card, check, or PayPal transactions; Kickstarter uses Amazon Payments exclusively). But, generally speaking, the sites place no limits on the amount of money that can be raised — so it's fine if you ask for $10,000 and end up getting $100,000. And almost all of the sites use an "all-or-nothing" model under which no funds are authorized unless a project reaches its full fund-raising target. The site then takes a cut of the total sum at the very end. IndieGoGo does allow partially funded projects, but charges a higher fee in those cases (9 percent, versus 4 percent for projects that meet their goal). Cortt Dunlap, the owner of Oakland's Awaken Cafe, first learned about crowd-funding on Facebook, where a few of his friends posted links to their projects. At the time, Dunlap was starting the process of building out a new space for his cafe, and he saw potential to use one of these sites as a way to mobilize supporters of the cafe — the same folks who'd e-mail him asking when Awaken would reopen and whether there was anything they could do to help. He ended up using IndieGoGo to raise more than $3,500, which covered the cost of the security deposit on the new space, though the sum was largely symbolic as it amounted to only a tiny fraction of the total amount needed to open the cafe. That said, Dunlap felt it was a nice way to give agency to folks who wanted to make some small show of support to his business — "to activate this group of people who are fans and supporters of the cafe, but didn't have the resources to buy a $500 gift card or become an equity partner." For Dunlap, the real innovation of crowd-funding is the way it democratizes the fund-raising process, giving consumers a tangible way to "vote" for the kinds of businesses they want to support — small, independent, socially conscious businesses, for instance. "If you want to see businesses like ours in your community, and not multinational, big-box kinds of things," he said, "there is a way that the community has to come together and say, we want to see this here." In that way, the crowd-funding phenomenon taps into another byproduct, or symptom, of the Facebook Age: the intense desire people have for personal connections — with friends, with celebrities, and now with those they do business with — however fleeting and insubstantial those connections might be. Jennifer Kaplan, an expert on marketing and social media, and the person who first told the owners of Toast about Kickstarter, put it this way: "My guess is because we've become so disconnected — because we all sit in front of our computers in our homes and we don't have to see people nearly as much as we used to — that virtual connections, virtual communities, are very, very strong, and people take them very seriously and are very engaged in them. And these crowd-funding movements and activities tap into that need for people to connect." In some instances, people might choose to fund a project because they want to receive a certain product — a bag of coffee beans or a copy of a CD. The most famous example is the design studio that raised more than $940,000 — probably a crowd-funding record — from people who wanted to be among the first to get their hands on the TikTok, a kit that turns an iPod Nano into a sleek wristwatch. But in many cases, it's the power of the project owner's narrative that pushes folks to get out their credit cards. It's whether you can get potential donors to feel passionate about your passion; it's about making them want to make your dream come true. One of the early online crowd-funding pioneers, and the one that has perhaps used the power of storytelling to best effect, is the nonprofit DonorsChoose, which provides a vehicle for public schoolteachers to ask for donations to pay for needed classroom supplies (everything from textbooks to laptops) or to fund special projects (a field trip or a guest speaker, for instance). Of course, the story each teacher tells is key, in terms of establishing the worthiness of his or her specific request, and the only tangible "perk" a donor might receive is a handwritten "thank you" note from the students and maybe some photos that show the money was put to good use. According to the organization's internal statistics, more than $26 million were raised on the site in 2010 alone. For teachers at cash-strapped schools facing budget cuts and the like, the web site has proven to be an invaluable resource, as it has been for teachers at Oakland's Lighthouse Community Charter School, which has even set aside meeting times to allow the staff to work on DonorsChoose proposals along with other grants. Dawn Fregosa, a high school science teacher at Lighthouse, says she's not sure she would be teaching anymore if it weren't for DonorsChoose — items she's received for her biology classroom include eight laptops and the past two years' supply of dissection creatures (which included fetal pigs and baby dogfish sharks), along with more mundane things like markers and pencils. She's in the process of trying to use the site to get lab tables for the classroom. Sara Ellberg, who teaches first grade at Lighthouse, explained, "Obviously, the 'powers that be' in our school want our kids to have things like field trips and books, but simply can't help with these things considering the economy and state budget cuts." This past fall, Ellberg put in a request for a large set of listening centers and books on CD. Almost the entire amount was provided by one "mustached stranger" through a promotion the site sponsors each fall in which men grow mustaches and ask friends and family members to "sponsor" them by donating money to classrooms in need. It's worth noting, also, that the mechanics of these crowd-funding sites are set up in such a way so as to generate a certain kind of participatory, deadline-driven excitement. Once you put money in for a project, you're rooting for the thing to get funded — you have a stake. In that sense, it's a little bit like betting at a craps table or, perhaps more aptly, using the ever-popular deal-of-the-day site, Groupon, where there's not only a fixed time limit for each deal, there's also a minimum number of people who need to buy it in order for it to be valid. On sites like Kickstarter, as on Groupon, this creates a kind of frenzied ticking of the clock, both for the funders and the fundee. As Awaken Cafe's Dunlap explains, "There's a point where it's like, oh my God, are they going to make it?" and even people who made just a small contribution toward the campaign start hitting refresh on their web browsers every hour or so. 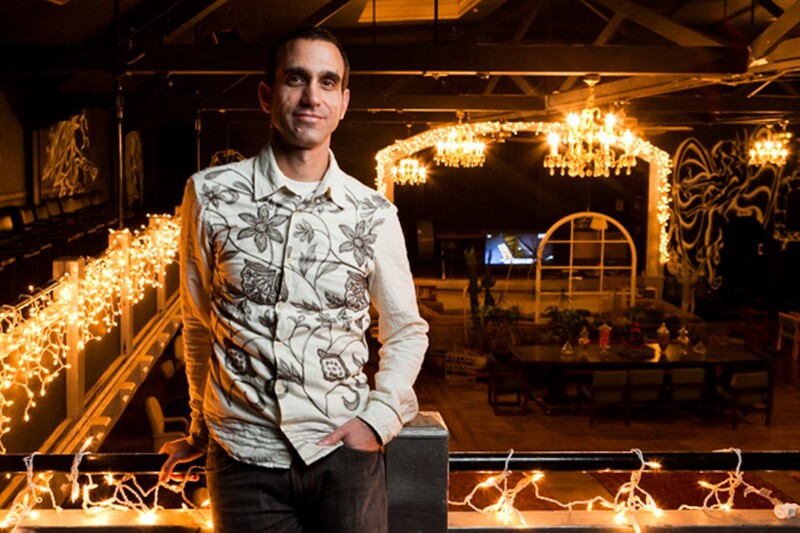 When J. Moses Ceaser started his campaign on Kickstarter to round up $50,000 toward the reopening of Oakland's Parkway Theater, he tried to keep his expectations in check — especially when the project remained some $40,000 shy of that goal with only a few days left. Ceaser says he knew that the tendency is for projects to get most of their funding at the very end, so he sent out a flurry of e-mails to try to make one last push. But even as the amount pledged inched past $20,000, he still felt pretty skeptical. "And I get an e-mail for each one, so you can imagine, it was just like this — every time I would open my e-mail, there'd be twenty more: 'new backer alert,' 'new backer alert,' 'new backer alert' .... It was actually rather overwhelming." Ceaser said he's fairly certain he was walking around at work with a stupid grin on his face all day. There were several unintended consequences to the whole process that may have been even more significant to his cause, Ceaser noted. First, he says he never anticipated that his Kickstarter campaign would end up generating newspaper articles, bringing publicity to his efforts. If anything, he thought the opposite would be true — that maybe newspaper articles about The New Parkway would bring attention to his crowd-funding efforts. What's more, he never anticipated how many potential equity investors would become interested in The New Parkway through watching the Kickstarter campaign. And because of SEC regulations, all the crowd-funding platforms stipulate that you can offer anything you want as a "perk," so long as you aren't selling shares of stock in your company — that would be illegal, which is why sites like Kickstarter and IndieGoGo are careful never to use the word "invest." That said, a few days before his Kickstarter campaign ended, Ceaser says he must have received about seventy requests for investor packets, from people who were interested in making an even bigger commitment than what was being offered on the web site. All told, he says the crowd-funding effort was probably responsible, directly and indirectly, for $200,000 in funds. Despite the rousing success of his own crowd-funding campaign, Ceaser is somewhat cautious about recommending the approach to others. Because of how beloved an institution the Parkway was, he doesn't think his experience was at all representative — few of the people who gave money didn't have some kind of personal connection to the theater. Aside from that, many of the funders were motivated by the perks that were being offered, which were not insignificant. There were smaller items, like bundles of discounted movie passes, but also big-ticket items, such as being able to rent out the entire theater for an exclusive screening with your friends. Rather than viewing the funds as free money, Ceaser says he instead sees them as "unfunded liability." "It's kind of a two-sided blade," Ceaser said. Obviously he needs the start-up money now. But assuming the theater reopens, he imagines that it would be really tough on business if too many people decided to cash in their perks during any concentrated time period. Ceaser's other concerns about his experience are slightly more philosophical. He wonders, for instance, whether the people who run Kickstarter are doing this just to get rich. His experience with the site was a good one, but the fees he paid were significant — enough for him to wonder whether the whole thing might be a "racket." And, of course, Ceaser vows that he'll return all the money if the theater never opens — his conscience would haunt him until the day he dies otherwise, he says. Still, there's something uncomfortable about the fact that nothing is really holding him to that besides his own sense of ethics and a desire to keep his good name. One of Kevin Lawton's criticisms of the way the crowd-funding sites are currently set up is that they're very limited in terms of the oversight they offer during the post-funding phase of a campaign. Both Kickstarter and IndieGoGo, for example, encourage project owners to continue to communicate with funders to keep them posted on the progress of their endeavor — but there's certainly nothing forcing them to do so. And if, say, Ceaser or anyone else were to take the cash he'd raised and disappear, the crowd-funding sites themselves are careful not to assume any legal responsibility for that — they just state the somewhat obvious fact that if you promise a perk, you're responsible for delivering on it. And if you didn't receive the DVD or the T-shirt you were promised? Well, presumably it's up to the individual to pursue legal action against the offending party, if indeed you think it's worth your time and energy to do so. What's more, the sites don't really have mechanisms in place that allow users to give "ratings" to project owners who fail to deliver on perks or are late or spotty in doing so. Kickstarter, which is based in Brooklyn, didn't respond to any of this reporter's inquiries. But IndieGoGo's Danae Ringelmann says those who worry about crowd-funding fraud are ultimately making some specious assumptions about human behavior. She says her staff always coaches clients, as they're coming up with their fund-raising plan, to start off by reaching out to their inner circle — their friends and family members. "So if you're someone who's trying to commit fraud, and you have no track record of anything you've ever done, and you're just trying to get money from random strangers, and you don't market it all to your core base, so that there's no money coming in from that, you're not going to raise money," Ringelmann said. "That's just the mechanics." She explains that when the company first launched, they actually implemented a ratings system similar to what's used on sites like eBay, but they got rid of it because no one ever used it. The transparency of the crowd-funding process — the fact that all the information about a particular project is right there for you to see online, and stays there even after the project has been completed — is enough of a fraud deterrent. In other words, if you don't feel that a project offers enough information or assurances, you're under no obligation to give any money. Ultimately, Lawton agrees that the transparency of the process greatly reduces the risk of fraud — where he differs is in his desire to increase that transparency, especially in that post-funding period, by including things like a rating system and increased documentation to show exactly what's being done with the money. When you're talking about $5 or $10 and a movie ticket or a CD, the stakes are relatively low. But things certainly change when you start talking about tens or hundreds of thousands of dollars — which Lawton believes become more prevalent as crowd-funding solidifies itself as the mechanism of choice for businesses that want to raise money. Another source of confusion is the issue of how the money that an individual or a company raises through crowd-funding ought to be treated from a taxation standpoint. Should the money be treated as a tax-exempt donation? (Certainly not, unless the organization raising the funds has nonprofit status.) Should it be treated as income? Or, if you're pre-selling merchandise, is it considered a sale? IndieGoGo advises campaign owners to consult their own tax attorney, noting, wisely, that what taxes they owe will vary widely depending on their location and the individual circumstances of their project. That said, taxation does appear to be yet another factor that aspiring entrepreneurs may not consider when deciding whether or not to use a crowd-funding site. Indeed, the successful crowd-funders interviewed for this story expressed their intent to pay taxes, but several were unsure of how exactly they ought to file. UC Berkeley law professor Eric Rakowski is a tax law expert, though he gives the caveat that he hasn't investigated the issue of crowd-funding specifically. That said, he says there are some basic principles at play here, having largely to do with the motivation of the donor in each specific case. Rakowski said that if the donor is motivated by what the Supreme Court has termed "disinterested generosity," then the money can simply be treated as a gift and isn't subject to taxation. But if some tangible perk is given in exchange for the contribution, then that transaction can no longer be viewed as a pure "donation," per se, from a tax standpoint. In some instances, the perk is just a token payment — a T-shirt, let's say — in which case, Rakowski speculates, the bulk of the transaction can still be treated as a tax-exempt gift. Only the value of the T-shirt itself would count as taxable income. But often, businesses and individuals are essentially using the crowd-funding platform to pre-sell merchandise, usually even at a discounted rate. In that case, Rakowski doesn't see any way of getting around the fact that these crowd-funding beneficiaries would owe state and local sales tax on the full value of whatever it is they're selling. If true, it would be another big chunk of money that would be taken out of the $15,000 or $50,000 that might have been raised — and that's on top of the cut taken by the crowd-funding site, and on top of whatever cut Paypal or the credit card companies are taking. When all is said and done, a business might easily lose 20 percent of the total sum that gets pledged — especially since many project owners don't appear to be adjusting their pledge increments to pass any of these costs, like the sales tax, on to potential donors. Because the crowd-funding phenomenon is so new, Lawton said that no one — perhaps not even the government — knows quite what to make of it yet: "There are tens of thousands of people, or hundreds of thousands, getting funding, and no one has any idea what they're doing." He suspects that in cases where the sums are relatively small, a lot of people probably aren't reporting the revenue on their tax returns at all — yet another reason the government might step in and impose its own regulations. "It's going to be a disaster is what it's going to be," Lawton concluded, "because when the SEC marches in, you know the IRS is going to come in with them." Ultimately, none of the entrepreneurs interviewed for this story had any real complaints about their experiences with crowd-funding. They all succeeded in raising the money they needed and are, presumably, on their way to bringing their dreams to fruition. Awaken Cafe's Dunlap even launched a second crowd-funding project, using IndieGoGo to sell tickets to a fund-raising event. Some efforts, like Ceaser's attempt to revive the Parkway, have hit bumps in the road — but by and large those have had nothing to do with the crowd-funding element. And only time will tell whether, in the long run, raising the money in this manner ends up paying off. And, despite his concerns, Lawton doesn't actually believe that crowd-funding is some kind of passing fad — quite the opposite, in fact. Some sites may get shut down, he says, while others tighten their systems and improve their safeguards. Ultimately, crowd-funding will be bigger than ever. Indeed, Lawton envisions a near-future when securities regulations will no longer relegate crowd-funding to pledge sites that only deal with relatively small amounts of money. He imagines a kind of consolidated mega-site that will bring the crowd-funding world and the venture-capital world together — one that offers all of the interconnectivity of existing social networking tools, but with the added benefit of an audience with big-money players who might take a liking to your little project and make a real investment in it, of several million dollars perhaps, so that you can make a real company out of it. "There will be a Facebook in this space," Lawton predicted. So for aspiring business owners, folk musicians who want to go on tour, and teachers who need computers for the classroom, there's a hope that, even with the uncertainties, this does mark a fundamental change in how an enterprise gets funded, and a significant improvement in the likelihood of someone with a good idea finding the money to bring it to fruition.